It is now possible to link several BeeBole Timesheet accounts to one Google Apps domain. A typical case would be for larger companies using one Google Apps domain and having created different BeeBole accounts for each department. Now, when users will log in using their Google Apps account, if the user exists in several BeeBole accounts, he will be presented with a list of accounts to choose from. Note that this option will also be available to users with a Google email not included in a Google Apps domain (gmail.com emails for example). 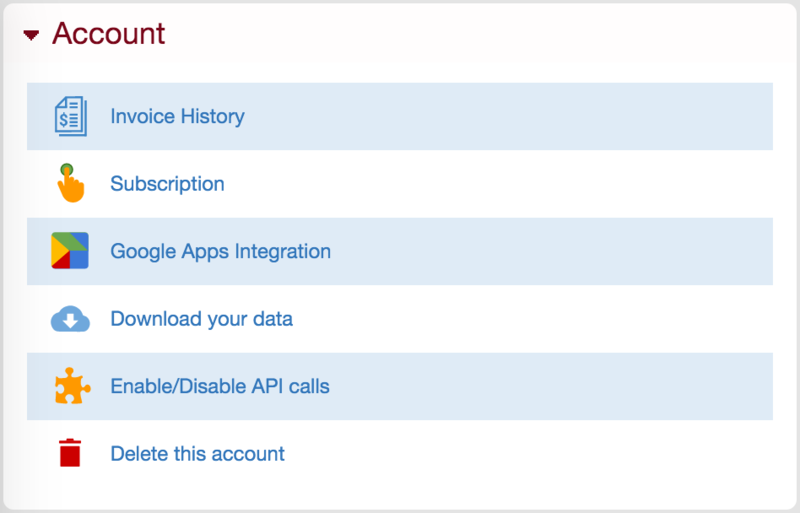 As a reminder, the configuration to link your Google Apps domain to a BeeBole account is done via the Account module in the Settings screen. For the full process, here is a link about how to link your BeeBole account to a Google Apps domain. And the Account module documentation page.